The idea came following a suggestion from disabled campaigner Helen Dolphin, and Libbie Bilyard, co-founders of the People’s Parking scheme. The scheme aims to improve car parks by highlighting those with facilities for disabled people, parents, commuters, cyclists and motorcyclists, and for electric and wheelchair-accessible vehicles, and those that can show they have good signage and pedestrian routes, are well-lit, clean and well-managed. Sean Fenney, NCP’s head of operations for Manchester, said: “Normally we have to work within the limitations of the estate that we currently have, so when we have a new-build car park it’s always a great opportunity to be able to make the space really work for all our customers. The Department for Transport (DfT) welcomed the move by NCP. A DfT spokesperson said: “We welcome measures that support the use of electric vehicles and are committed to ensuring that everyone in our society enjoys the same opportunities to travel. 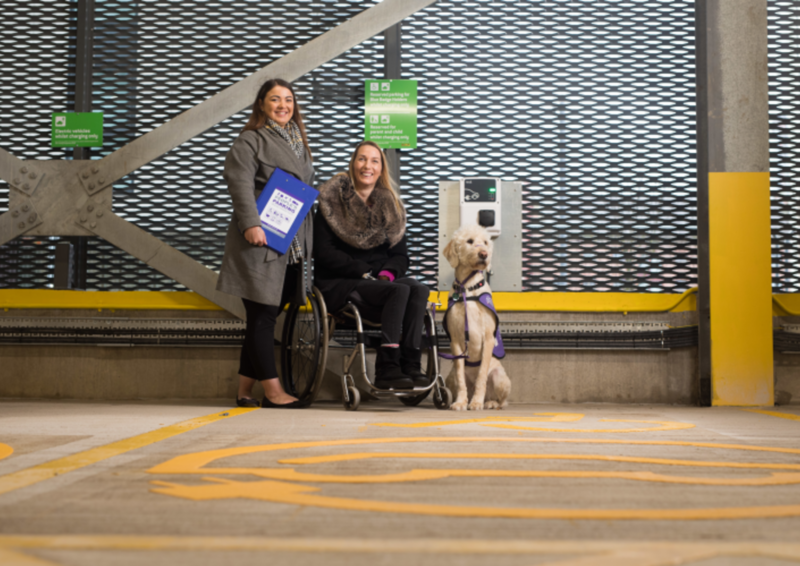 Motability currently offers three electric models to lease through the disabled people’s vehicle scheme, with 202 customers with electric vehicles at the end of December. A Motability spokesperson said: “The Motability scheme is currently in discussions with a number of other manufacturers to be able to supply full battery electric vehicles on the scheme in the future.